A very useful and thought provides provoking piece from Al Jazeera news explores some new issues for Iceland, with respect to its tourist industry. It describes some of the locations where climate change appears to be having an impact on the activity of the local tourist industry. I've visited Solheimajokull several times. 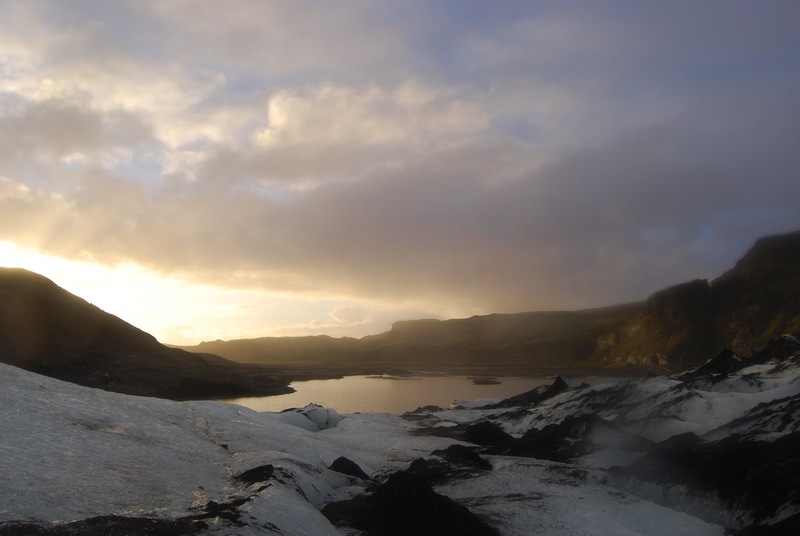 It's an accessible glacier to the east of Reykjavik and close to the ring road. Each time the weather has been different. The picture above was taken in 2015. The glacier guides have to change the access point to the glacier regularly and also work out a route for the tour. Last time I went, there was an ice cave that could be accessed, but that could very well be gone by now. There are also fences going up at Skogafoss, to protect the grass there and try to encourage people to take a particular route up to the falls, and then the staircase up the side to the viewing platform at the top. One good site to follow for this sort of news is Iceland Monitor on Facebook. This provides a guide to the latest news which connects with changes to the environment, or similar. This is a country that is still getting used to the sheer volume of tourism it now receives.